Sculpture Size: 6 X 4 X 2.5 in. This very special sculpture was the first frog that Tim Cotterill designed back in 1990. Only one was actually ever cast in bronze. 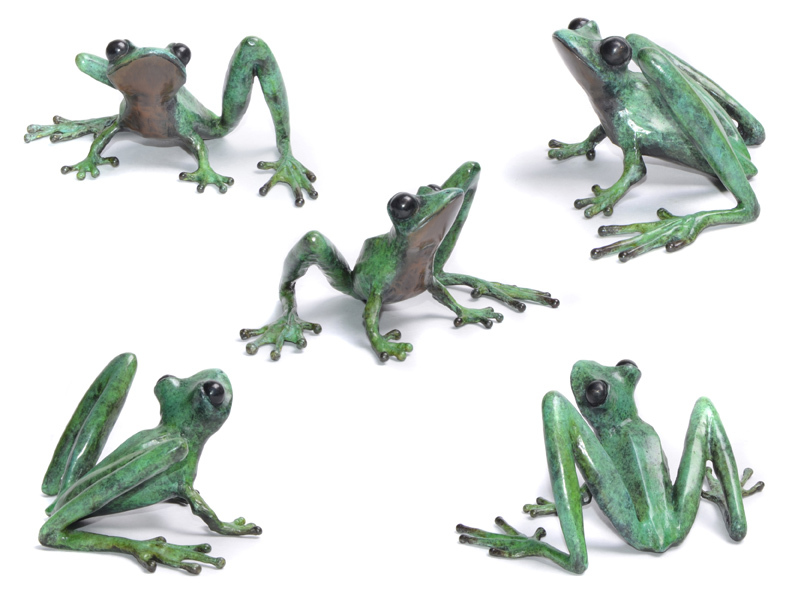 In those early days, Tim never could have imagined how wildly popular his frog sculptures would eventually become. Stored in a box, and long forgotten, this iconic work was never produced, until now. In celebration of twenty-five years of FROGMAN history, Tim Cotterill is delighted to introduce, "Freddie!"